Heat the milk in the microwave for 2 minutes until it's lukewarm. Add the milk, flour, baking powder, salt and eggs to your blender and blend until smooth. Let the batter rest for about an hour. It does not need to be refrigerated. Preheat oven to 450 F degrees. Spray popover pan generously with cooking or baking spray. Fill each popover cup almost to the top with batter. Place popover pan on a baking sheet and transfer to oven. Bake at 450 F degrees for 15 minutes. Turn down the oven temperature to 375 F degrees and bake for another 25 minutes, or until popovers are golden brown. In a shallow plate mix sugar and cinnamon together. Let popovers cool until warm to touch. 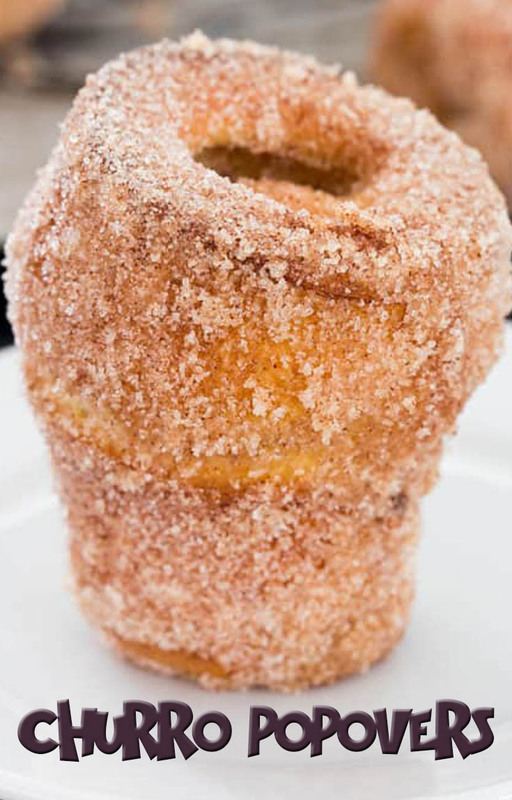 Brush each popover with melted butter, then roll popover through the cinnamon sugar. Repeat with all popovers.